We take the security of your data very seriously. Here is how we protect and secure it and how we comply with General Data Protection Regulations. Who are we? We are an NHS Business Partner – an independent organisation that supplies services to the NHS. All of our contact details can be found here. Your dentist and other healthcare professionals caring for you keep records about your health and any treatment you receive from the NHS. These help to ensure that we provide you with the best possible care. These types of data are both personal but also sensitive and therefore we have a significant duty of care to you to protect them. We take this very seriously. Its important for you to know that we do not share any of your information with anyone other than those people who are responsible for your care. The only exception to this is described below in “secondary uses” and these data are completely anonymous. We know that some of this can be confusing – so we have produced a very simple information sheet for you here, and if you have any questions – then please get in touch with us. You can contact us by email at d.referrals@nhs.net or you can call us on 0845 8620841 (calling this number costs 2p per minute). The information we process is collected on the basis that is necessary for your care, and we collect sensitive (health care information) in order to meet these requirements. When considering the new EU data regulations (known as General Data Protection Regulations, or GDPR) the lawful basis for data collection is Article 6 (1) f and Article 9 (2) h.
Cookies are text files that are placed on your computer to collect standard information and visitor behaviour. This helps us improve our website and make sure that the all the information is organised in an appropriate way. We only keep your data as long as we need to. This is longer than most services as we need to comply with the law and the NHS medical records management guidelines. There is useful information on how long we are required to keep your data on the NHS website here. We do not send your details to any other organisation other than those service providers who provide your direct care, for example Hospitals and Primary Care services and then only to meet the minimum requirements of the referral process. Everyone working for the NHS has a legal duty to keep information about you confidential in line with the NHS Confidentiality Code of Practice. The General Data Protection Regulations sets out principles of handling information which all NHS organisations must adhere to. We have put in place technology and security policies, rules and measures to protect your information. Sometimes we may need to share information about you with other agencies so we can all work together for your benefit. We will only ever use or pass on information about you if others involved in your care have a genuine need for it. Anyone who receives information from us is also under a legal duty to keep it confidential and secure. Dental Referrals will only use information given to us in accordance with the General Data Protection Regulations. We have a legal duty to keep all information supplied by service users confidential. As a confidential service we will ask service users for their permission if we must contact other agencies, except where there are significant issues of risk such as child protection issues or harm to self or others. 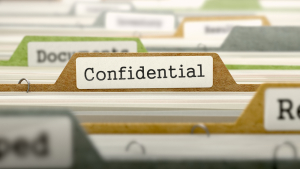 Anyone who receives information from us is also under a legal duty to keep it confidential. The General Data Protection Regulations allows you to find out what information about you is held in our records. This applies to both manual and computer processed records. This is known as ‘Subject Access Request‘. If you want to see information on your dental referrals then you can find our how to do this here. Under the new regulations there is no charge for us to supply this information to you. If you are interested in Freedom of Information requests, you can learn more about these here. Its important to note that we don’t hold your dental records just information that your dentist has provided to refer you to other services. You also have the right to ask about any logic involved in any automated decisions made about you. The dental referral service does not use any automated decision making processes in how you access care. Please email this information to us using our secure email – d.referrals@nhs.net or you can post it to us at the address below. Please tell us how you would like us to send the information to you – using email or post. Both carry risks, so consider who else may have access your email or your post. Find out more information about NHS data, the GDPR regulations and your rights.